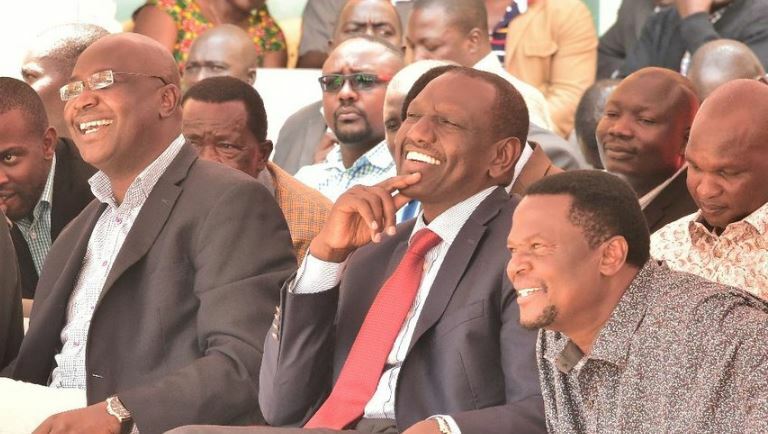 Deputy President William Ruto has brushed off those criticizing him for crisscrossing the country saying they don’t need to panic because he is not campaigning for 2022. According to Ruto, touring the country is part of his mandate as the Deputy President. “People should stop panicking about my traversing the country saying it is 2022 campaigns, I’m yet to start my campaigns because when I start they will be in for a rude shock,” said Ruto. Speaking during a church service at Catholic Christ the King in Bungoma on Sunday, Ruto said only God knows about 2022 and people should stop discussing it. “I’m asking my fellow Kenyans to stop panicking about Kenyan politics as is only God who plans for tomorrow and not any human being,” he said. The second in command further implored elected leaders to fulfill their debts to the electorate and deliver regardless of their political affiliations. “We should unite and change the livelihood of our people and not to politic all the time,” he noted. Ruto also noted that the Jubilee administration was keen on implementing the big 4 agenda by ensuring that they construct 3000 houses in Bungoma alone. He was accompanied by MPs Wafula Wamunyinyi (Kanduyi), Didmus Barasa (Kimilili), James Mukwe (Kabuchai), Mwambu Mabonga (Bumula), Enock Kibungunchi (Likuyani) and John Waluke(Sirisia).